Restricting access to your content by country is a powerful CDN feature. 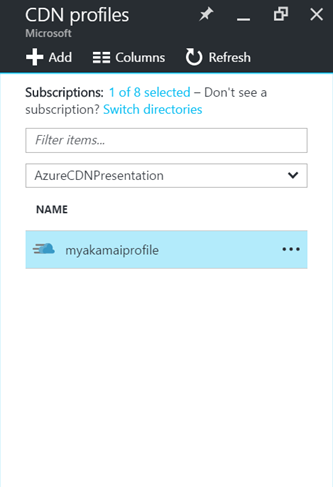 We’re excited to announce this is now available for all Akamai Standard profiles directly in the Azure portal. This feature will allow you to specify specific paths on your endpoint and set rules to block or allow access to a specific list of countries. If you are using either Standard or Premium from Verizon, the feature will still be accessed through the supplemental management portal for the time being. It will be migrated to the Azure portal in the future. 1. 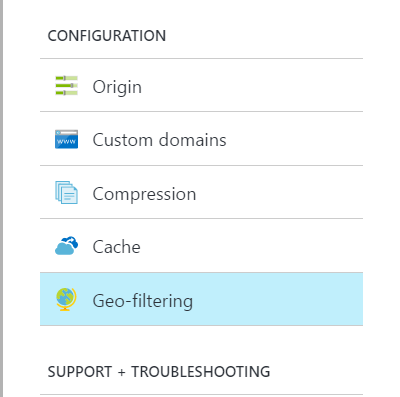 Find your CDN profile at https://portal.azure.com. 4. Enter a file or directory path for PATH, an ACTION to block or allow, and one or more countries. The example below allows access to “myendpoint1.azureedge.net/pictures/mypics/*” from only the United States. 5. Hit Save and wait for the changes to propagate. For more details, see please visit the full documentation page.